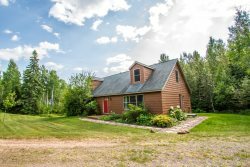 Large deluxe vacation home rentals in Tofte, Lutsen, Hovland and Pointavu, for 10 or more people, along the beautiful north shore of Lake Superior. Phoenix Cabin is north woods life at its best with private location and wild life right out your back door. Pointavu is a well-designed home outside of Lutsen with a large deck overlooking Lake Superior. Roundhouse, a unique and spacious private home, is the perfect destination for your next North Shore adventure. Seacliff is one of our favorite vacation homes along the Lake Superior coastline, located in Lutsen, MN.